I swear if I had a nickel for every time someone has mentioned bitcoin to me in the last month, I would be really, really rich. Not Trump rich. But who wants to be that? So on the last business day of 2017, I found myself buying into all the bit business. I know about these things. 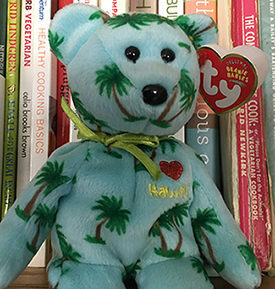 I am a survivor of the beanie baby hysteria of the ’90s, where cute disguised the hype. Beanie babies are not Bitcoin. Bitcoin, however, is all math, solved by mostly Chinese computing power, fueled by coal (unfortunately). And it has a purpose–decentralized money without borders, defined by use, and totally transparent (at least it’s all there, albeit in code). So just so I can afford next year’s New Year’s celebration, I decided not to be a blockhead about the blockchain. I am now a proud owner of .004 bitcoin! I officially declare myself an optimist in the future of the world, technology, and me. And all for the price of a modest lunch for two in a not-so-fancy New York City hand-made noodle joint. Nothing like a bit of symbolic bitcoin–my digital lottery ticket–to make one feel energized, hopeful, and grateful for the digitized future. We’re here. 2017 ends and a new year begins. AI hasn’t replaced us. We are not robots. Before we get into it, let me say how much I’ve enjoyed you, dear reader, for being here all these many years on the AALDEF blog. I am a refugee from the mainstream media, and AALDEF has allowed me to continue to opine as an Asian American voice. 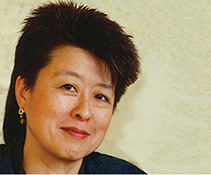 Please consider making a generous donation to help fund all that AALDEF does for the greater Asian American community. One of the things the Trump tax overhaul did is make changes on the deductibility of charitable donations. If you haven’t yet been hit by that impulsive charitable mood, I’m pretty sure that if you make a donation before the clock strikes midnight, it will be personally more beneficial. And if it’s not, at least marijuana will be legal in California (not just for “sickies”). If you live in the most Asian American state in the country, you should be able to think about what the new tax code does to you while in a better mood. You still can’t donate in Bitcoin, Ethereum, or Ripple. But just wait. Remember when people balked at using credit cards on the internet? That’s what I think about when I see all the cryptocurrency stories you’re likely to see in the news throughout 2018. Do you recall all the news stories about something called Amazon in its first iteration? Maybe you saw the site on your Radio Shack TRS-80 color computer? All Amazon sold was books back then. And the story you read was likely in a newspaper. Look at the world now. Many of the cryptocurrency stories in 2018 will be about scams and ne’er-do-well promoters. But most won’t be. They’ll be stories about the evolution and the future of money. Currencies in a global world won’t be defined by borders or central governments. They’ll be defined by “use” and solve problems, like Ethereum’s use of contracts. Or Ripple’s use in solving complex payment exchanges. The lasting cryptocurrencies will solve problems traditional money creates. That’s why cryptocurrencies are here to stay, and they have nowhere to go but up, up, up. See, even digital capitalists have a heart. But what does Buterin know–he’s an idealistic 23. If you are still in the dark about net neutrality, don’t be. Or you will be in the dark without even a blue screen. Just a few weeks ago, by a 3-2 vote along party lines, the FCC and the GOP did the public a major disservice by killing the net neutrality rules. Net Neutrality? It simply assured the internet stayed a force of democracy, giving individuals the same rights to access as big corporate users. Without net neutrality, expect to see the creation of tiered services and a pay-to-play environment. And then consider this outcome: When you lose your connectivity to the cyberworld, do you really exist? I mean, you can’t swipe left or right without it. Not if you’re essentially off the grid. You can be in the middle of the city, without access to the internet where the world increasingly does its thing, and genuinely be in the wilderness. People have talked about the digital divide since the beginning of the net (only people with CompuServe accounts really know the beginning of the internet). Ending net neutrality pretty much ensures a world that can freely discriminate against those who can be on the web and those who can’t. It may not be about race so much. But it will discriminate and make the digital divide far more sinister. Are you ready for net invisibility? We’re talking about more than taking a break from social media. Or turning off the devices for a week. That’s all quaint and your choice. But as more of the world and what it does becomes digitized, what of those who are shut out because of cost? Or can’t access the vast internet because reliable high-speed service is unavailable? Look who gets cut out of the modern world: The poor. People of color. Let them do dial-up. Shall we bring back pay phones? We may need a digital version of the Voting Rights Act in the future. Net neutrality made sure it wasn’t needed yet. But its time has come if too many of us are shut out of the modern digital world and left to subsist in the cold, unenhanced real world. Surprisingly, our top stories were not about the Trumpster. But your eyeballs really liked our take on Alex Tizon’s “Lola”. Look for more on Tizon’s Lola in an upcoming Emil Amok’s Takeout. We’ve been on a podcast hiatus. But it’s coming back, I promise. Another podcast combo featuring Helen Zia, writer, activist, and trustee of the Vincent Chin estate, also was one of our most popular offerings in 2017. Remembering the disastrous Chin case is a perennial for the AALDEF blog. We’re braced for it. We didn’t expect the heartache that came with all the natural and political disasters of 2017. But by the end of the year, we come away with what appears to be a real societal change on sexual harassment. #MeToo has emerged in 2017, and it’s about time. And there were other family milestones that made my year. But I closed 2017 on a sad note– the death of my disc-loving companion, Ross, the flying McNab Border Collie. 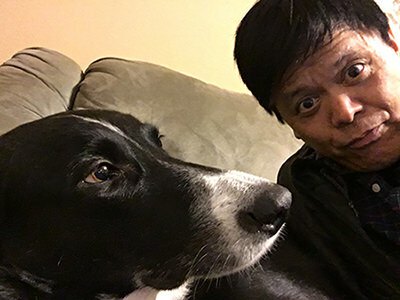 I never considered myself a dog guy. But doggone it. And so we try to end the year and begin optimistically. With hope. I’ve got .004 of a bitcoin. It’s volatile as all get out and moves like a digital heartbeat all over the place. But that’s what it’s like to be alive in 2018.